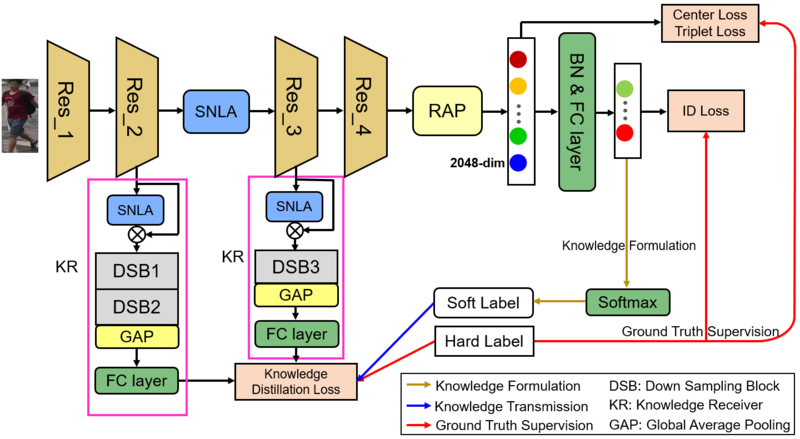 This research proposes a novel system architecture that includes "localization subsystem", "perception subsystem", "inference subsystem" and "navigation subsystem". 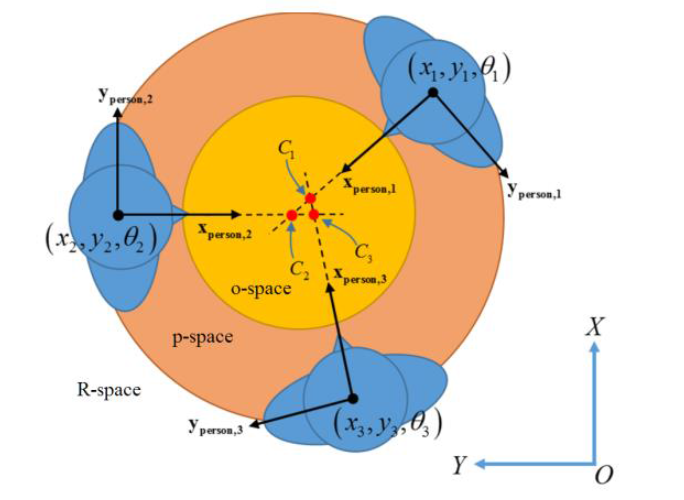 In the "localization subsystem", this research proposes an innovative method to fuse two different kinds of Simultaneous Localization And Mapping (SLAM) algorithms, which can achieve more robust localization ability. On the other hand, in the "perception subsystem", the robot uses the neural network method to realize object recognition, which is combined with the depth image to confirm the spatial position of the object in the space related to the map in "localization subsystem". As for the “inference subsystem”, we propose a probability model. This probability model will make the best inference based on the “Affordance” provided by the user and the data of the environment. The advantage of this system is that the robot is able to make good inferences without a large amount of training data and training time like neural network, and the inference results will behave differently according to the information provided by the user. To meet the objective that the robot behave as human, a novel system based on several kinds of deep learning algorithms is proposed. Firstly, the homeostatic theory and Maslow’s hierarchy of needs have been adopted to model the robot, and we build the autonomous system for robot to know what to do at every time moment. Secondly, we build up a dialogue system, including not only basic Question-Answering abilities but also Chit-Chatting, with mood mechanism and text style translation model for improving the relationship between robot and human. Thirdly, we develop visual question generation capability such that robot knows how to propose diverse questions to human for what it has observed. This thesis proposes a new navigation for an omnidirectional mobile robot to maneuver in a complex and populated environment. In an indoor populated environment, robot has to react to such circumstances and achieve both physical and psychological navigational safety. Different from the past, we consider the feature of omnidirectional movement into Social Force Model and propose an extended rotation social force. With this extension model, this framework takes “human comfort”, “nature” into consider and is able to navigate in a complex and populated environment. We propose a novel structure, where objective is to achieve large-scale environment navigation in the indoor environment without pre-constructed map. The large-scale indoor environment needs good understanding to work for complex spatial perception, especially when the indoor space consists of many walls and doors which might occlude the view of robot. 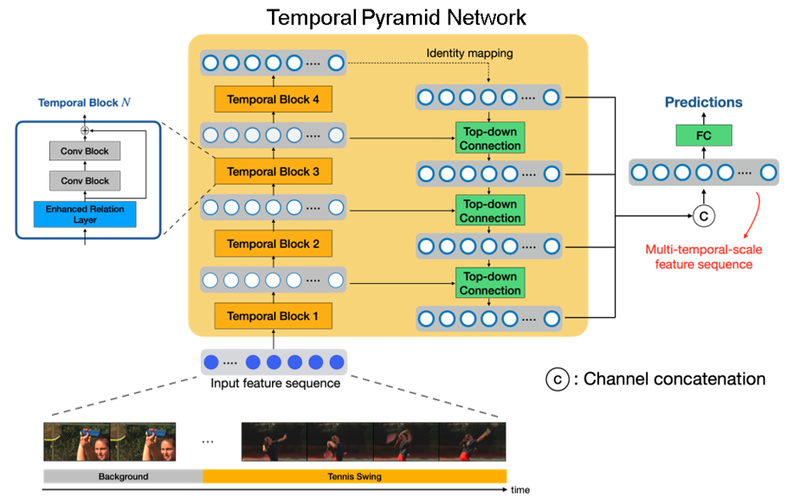 By the proposed hierarchical deep reinforcement learning and image embedding space generated by auto-encoder, our method can achieve large-scale indoor visual navigation without extra map information and human instruction. 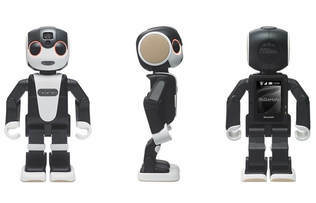 Socially Assistive Robotics (SAR) is an emerging multidisciplinary field of study that has potential applications in education, health management and elder care. We propose an interactive decision-planning module developed for RoBoHoN with the goal of exploring the feasibility of using a robot to engage with children. In order to validate the usefulness of the proposed methodology, we have conducted a pilot study on healthy elementary school aged children. Based on the results, our platform has the potential of being implemented using the developed Wizard-of-Oz interface in a real environment (e.g. classroom or hospital). Recently, deep reinforcement learning is applied to the robotic field. For service robot, we propose the composite reinforcement learning (CRL) system that provide a framework that use the sensor input to learn how to generate the velocity of the robot. The system uses DRL to learn the velocity in a given set of scenarios and a reward update module that provides ways of updating the reward function based on the feedback of human. The CRL system is able to incrementally learn to determine its velocity by given rules. Also, it will keep collecting human feedback to keep synchronizing the reward functions inside the system to the current social norms. (ii) force sensors to measure the physical interaction between the human’s hands and the robotic walker. 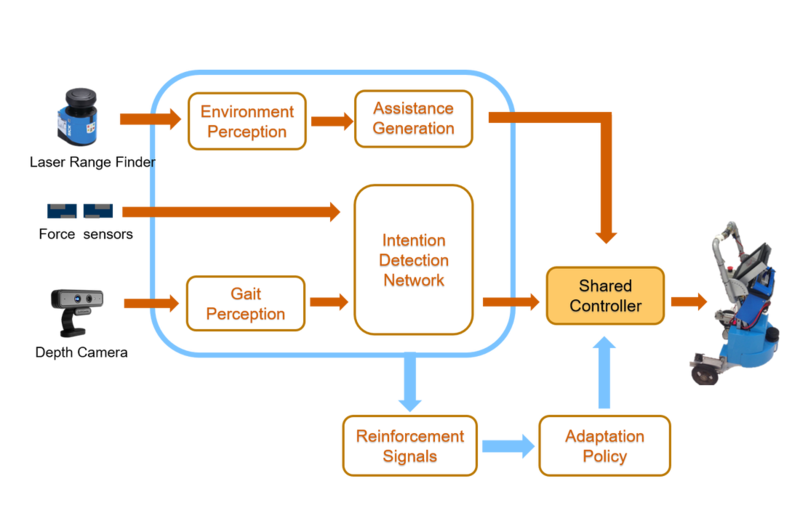 Considering the robot’s ability to autonomously adapt to different user’s operation preference and motor abilities, we propose a reinforcement learning-based shared control algorithm which not only can improve the user’s degree of comfort while using the device but also can automatically adapt to user’s behavior. For a visual servo system, there usually exists the problem of time-delay likely caused by long image processing and data transmission. 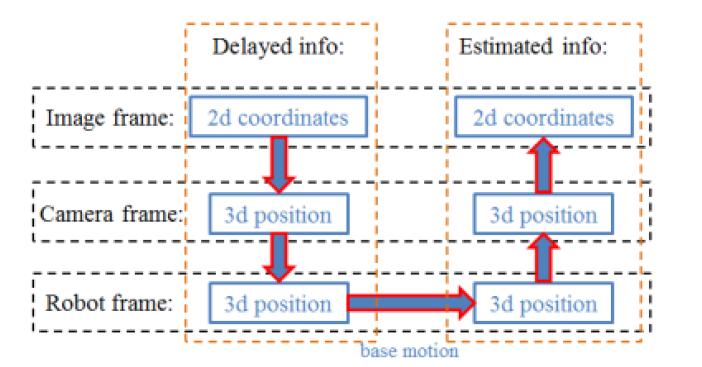 We propose a novel visual servo system to compensate the large time-delay, and we use integral of velocity which incorporating the image estimation and prediction with the kinematic model so as to achieve indirect velocity control with position based control mode joint. Our proposed visual servo system controls the neck joints of robot and keeps the object within the field of view of the camera during the approaching phase. We evaluate the proposed approach by experiment on a real wheeled humanoid robot and find the resulting performance quite promising, showing that our method is feasible and practical. As robots participate in human’s daily activities more and more frequently, mobility performance has become one of the main factors determining how robots will share an environment with humans harmoniously in the near future. We propose a socializing model for the robot while participating in an interaction with a group of human peers to achieve its socially optimal position. From a theoretic perspective, we identify the most prominent features required for social acceptance of robots interacting with multiple humans, backing our arguments with relevant sociological theory. We have conducted experiments where human participants were invited to interact with a robot, which can be constrained to perform either holonomic or nonholonomic motions only. so the robot could understand the human intentions and infer the proper reactions. 1. Robot Vision – Our group have been focused on robot vision system because we can get rich information from cameras. 2. Mobile Robot System – We cooperate with Advanced Control Lab of EE department ( Also Prof. Fu’s Lab ). Shih-Huan Tseng, Yen Chao, Ching Lin, Li-Chen Fu. “Service robots: System design for tracking people through data fusion and initiating interaction with the human group by inferring social situations”, Robotics and Autonomous Systems, 2016. Chung Dial Lim, Chia-Ming Wang, Ching-Ying Cheng, Yen Chao, Shih-Huan Tseng, Li-Chen Fu. “Sensory Cues Guided Rehabilitation Robotic Walker Realized by Depth Image-Based Gait Analysis”, IEEE Transactions on Automation Science and Engineering, 13(1), 171-180, 2016. Chih-Fu Chang and Li-Chen Fu. "Control Framework of A Multi-Agent System with Hybrid Approach". Journal of Chinese Engineering, 2006. Chih-Fu Chang, Jane Hsu and Li-Chen Fu. "Dynamic Game Based Hybrid Multi-Agent Control". International Journal of Electric Business Management, 2006. Shih-Hsi Hsu, Shao-Hung Chan, Ping-Tsang Wu, Li-Chen Fu, "Distributed Deep Reinforcement Learning based Indoor Visual Navigation," IEEE/RSJ International Conference on Intelligent Robots and Systems (IROS), 2018. Pei-Huai Ciou, Yu-Ting Hsiao, Zong-Ze Wu, Shih-Huan Tseng, Li-Chen Fu, "Composite Reinforcement Learning for Social Robot Navigation," IEEE/RSJ International Conference on Intelligent Robots and Systems (IROS), 2018. Shao-Hung Chan, Ping-Tsang Wu, Li-Chen Fu, "Robust 2D Indoor Localization through Laser SLAM and Visual SLAM Fusion," IEEE International Conference on System, Men, and Cybernetics (SMC) 2018. Shih-An Yang, Edwinn Gamborino, Chun-Tang Yang, and Li-Chen Fu, “A Study on the Social Acceptance of a Robot in a Multi-Human Interaction Using an F-formation Based Motion Model,” IEEE/RSJ International Conference on Intelligent Robots and Systems (IROS), 2016. Jiangyuan Zhang, Vicente Queiroz, Zong-Ze Wu, Pei-Hwai Ciou, Shih-Hsi Hsu, Shih-Huan Tseng, and Li-Chen Fu, “Visual Servoing with Time-delay Compensation for Humanoid Mobile Manipulator,” IEEE International Conference on System, Men, and Cybernetics (SMC) 2016. Yu-Chi Lin, Shao-Ting Wei, Shih-An Yang, Li-Chen Fu "Planning on searching occluded target object with a mobile robot manipulator, " Robotics and Automation (ICRA), 2015 IEEE International Conference on , vol., no., pp.3110-3115, 26-30 May 2015. Pei-Wen Wu, Yu-Chi Lin, Chia-Ming Wang, Li-Chen Fu "Grasping the object with collision avoidance of wheeled mobile manipulator in dynamic environments, " Intelligent Robots and Systems (IROS), 2013 IEEE/RSJ International Conference on , vol., no., pp.5300-5305, 3-7 Nov. 2013. Chia-Ming Wang, Shin-Huan Tseng, Pei-Wen Wu, Yuan-Han Xu, Chien-Ke Liao, Yu-Chi Lin, Yi-Shiu Chiang, Chung-Dial Lim, Ting-Sheng Chu, Li-Chen Fu, "Human-oriented recognition for intelligent interactive office robot, " Control, Automation and Systems (ICCAS), 2013 13th International Conference on , vol., no., pp.960-965, 20-23 Oct. 2013. Ming-Fang Chang, Wei-Hao Mou, Chien-Ke Liao, Li-Chen Fu, "Design and implementation of an active robotic walker for Parkinson's patients, " SICE Annual Conference (SICE), 2012 Proceedings of , vol., no., pp.2068-2073, 20-23 Aug. 2012. Yu, Kuan-Ting, Shih-Huan Tseng, and Li-Chen Fu. "Learning Hierarchical Representation with Sparsity for RGB-D Object Recognition," IEEE/RSJ International Conference on Intelligent Robots and Systems (IROS), 2012. Wei-Hao Mou, Ming-Fang Chang, Chien-Ke Liao, Yuan-Han Hsu, Shih-Huan Tseng, and Li-Chen Fu. "Context-Aware Assisted Interactive Robotic Walker for Parkinson’s Disease Patients," IEEE/RSJ International Conference on Intelligent Robots and Systems (IROS), 2012. Kai Siang Ong, Yuan-Han Hsu,and Li-Chen Fu. "Sensor Fusion Based Human Detection and Tracking System for Human-Robot Interaction," IEEE/RSJ International Conference on Intelligent Robots and Systems (IROS), 2012. Ju-Hsuan Hua, Shih-Huan Tseng, Shao-Po Ma, Jie Fu, Li-Chen Fu "Decision-Networks based Attentive HRI by Reasoning Human Intention andPreferences," The 43rd Intl. Symp. on Robotics (ISR2012),Taipei, Taiwan, Aug. 29-31, 2012. Kuo-Chen Huang, Shih-Huan Tseng, Wei-Hao Mou, and Li-Chen Fu. "Simultaneous localization and scene reconstruction with monocular camera," Robotics and Automation (ICRA), 2012 IEEE International Conference on , vol., no., pp.2102-2107, 14-18 May 2012. Shih-Huan Tseng et al. "Intelligent interactive robot in an office nvironment," Proceedings of 2011 International Conference on Service and Interactive Robots. Chen Tun Chou, Jiun-Yi Li, Ming-Fang Chang, and Li Chen Fu. 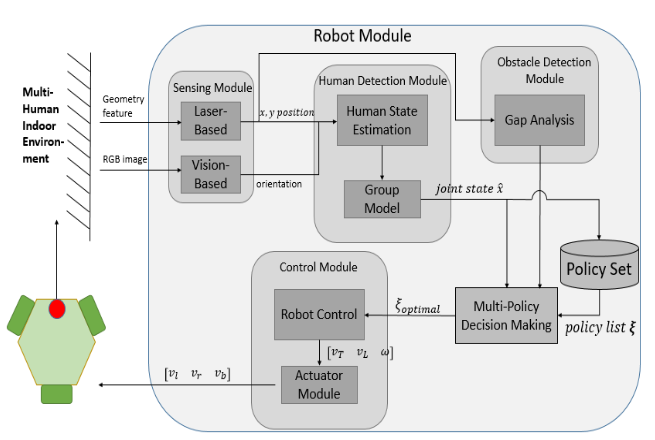 "Multi-robot Cooperation Based Human Tracking System Using Laser Range Finder," IEEE International Conference on Robotics and Automation, 2011( ICRA 2011). 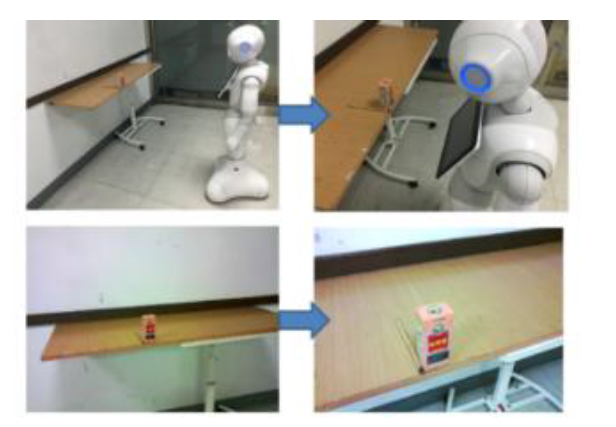 Kuan-Ting Yu, Chi-Pang Lam, Ming-Fang Chang, Wei-Hao Mou, Shi-Huan Tseng, and Li-Chen Fu, "An Interactive Robotic Walker for Assisting Elderly Mobility in Senior Care Unit". 2010 IEEE Workshop on Advanced Robotics and its Social Impacts (ARSO 2010). Chih-Fu Chang and Li-Chen Fu, "Dynamic state feedback control of robotic formation system", IEEE IROS 2010, pp. 3574-3579. Wei-Jen Kuo, Shih-Huan Tseng, Jia-Yuan Yu, and Li-Chen Fu, "A hybrid approach to RBPF based SLAM with grid mapping enhanced by line matching," IEEE/RSJ International Conference on Intelligent Robots and Systems, 2009 (IROS 2009). Guan-Hao Li, Chih-Fu Chang and Li-Chen Fu, "bSLAM navigation of a Wheeled Mobile Robot in presence of uncertainty in indoor environment," IEEE ARSO 2009, pp. 6-11. Guan-Hao Li, Chih-Fu Chang and Li-Chen Fu, "Navigation of a wheeled mobile robot in indoor environment by potential field based-fuzzy logic method," IEEE ARSO 2008, pp. 1-6. 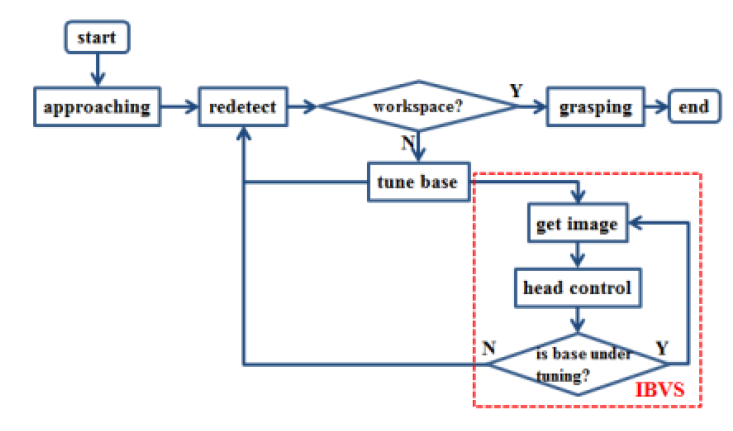 Chih-Fu Chang and Li-Chen Fu, "A formation control framework based on Lyapunov approach," IEEE IROS 2008, pp. 2777-2782. Chih-Fu Chang and Li-Chen Fu, "A Study of Nonholonomic Formation Dynamics: From A Perspective of Interactive Point," IEEE IFAC 2008. Chi-Pang Lam, Wei-Jen Kuo, Chun-Feng Liao, Ya-Wen Jong, Li-Chen Fu, Joyce Yen Fen, "An Efficient Hierarchical Localization for Indoor Mobile Robot with Wireless Sensor and Pre-Constructed Map," The 5th International Conference on Ubiquitous Robots and Ambient Intelligence (URAI 2008). M.C. Shiu, F.L. Lian, L.C. Fu, H.T. Lee, ""Magnetic Force Analysis for the Actuation Design of 2D Rotational Modular Robots"," in Proc. The 33rd Annual Conf. of the IEEE Industrial Electronics Society, Taipei, pp. 2236-2241, 2007. Chih-Fu Chang and Li-Chen Fu, ""A Control Framework of a Multiagent System with Hybrid System Approach"," IEEE ICRA 2006. Chih-Fu Chang and Li-Chen Fu, "" Modeling and Stability Analysis of a Nonholonomic Multi-Agent Formation Problem"," IEEE SMC 2006. Chih-Fu Chang and Li-Chen Fu, ""Analysis of a Behavior Based Nonholonomic Wheeled Mobile Robot Control with Hybrid System Approach"," invited section, SCIE-ICCAS, 2006. Chih-Fu Chang, Chun-Po Huang, Li-Chen Fu, "Design an Adaptive Control Using Supervisory Approach for Mobile Manipulator," International Conference on Automation Technology, 2005. Chih-Fu Chang, Chun-Po Huang, Li-Chen Fu, Yu-Ming Yi, Yu-Po Hsu, Dai-Jei Tzou, Jerry Chen, Joseph Lai and I-Fan Lin,"A New Hybrid System Approach to Design of Controller Architecture of a Wheeled Mobile Manipulator," International Conference on Intelligent Robots and Systems, 2005 Aug IEEE. Yung-Hao Chen, Chih-Fu Chang, ""An Implementation of a Real-Time Vision Algorithm Using FPGA","Automation 2005. Chih-Fu Chang, Chung-Po Huang and Li-Chen Fu, ""Design an Adaptive Control Using Supervisory Approach for Mobile Manipulator"," Automation 2005. Chih-Fu Chang, Chun-Po Huang, Li-Chen Fu, Yu-Ming Yi, Yu-Po Hsu, Dai-Jei Tzou, Jerry Chen, Joseph Lai and I-Fan Lin, ""A New Hybrid System Approach to Design of Controller Architecture of a Wheeled Mobile Manipulator","IEEE IROS 2005. Chih-Fu Chang; C.-I Huang; Li-Chen Fu, "Nonlinear control of a Wheeled Mobile Robot with Nonholonomic Constraints,"IEEE International Conference on Systems, Man and Cybernetics, Volume 6, Page(s):5404 - 5410, Oct. 10-13, 2004. Chih-Fu Chang and Li-Chen Fu, ""Nonlinear control of a Wheeled Mobile Robot with Nonholonomic Constrains","IEEE SMC 2004. Cheng-Ming Huang, Su-Chiun Wang, Chih-Fu Chang, Chin_I Huang, Yu-Shan Cheng, Li-Chen Fu, ""An Air Combat Simulator in the Virtual Reality with the Visual Tracking System and Force-Feedback Components","IEEE CCA 2004. 吳秉蒼 "以多層環境可供性地圖達成強健室內定位、人類活動事件偵測以及社交友善導航 Robust Indoor Localization, Human Event Detection and Socially Friendly Navigation Based on Multi-Layer Environmental Affordance Map," Master Thesis, institute of Electrical Engineering, National Taiwan University, R.O.C., 2018. 機器人導航應用於多人室內環境 A Socially-Aware Navigation of Omnidirectional Mobile Robot with Extended Social Force Model in Multi-Human Indoor Environment," Master Thesis, institute of Electrical Engineering, National Taiwan University, R.O.C., 2018. 邱沛淮 "以合成強化式學習之適應行為學習之社交機器人導航Adaptive Behavior Learning Social Robot Navigation with Composite Reinforcement Learning", Master Thesis, institute of Electrical Engineering, National Taiwan University, R.O.C., 2017. 愛德溫 "以混合互動強化學習方式輔助機器人行動計劃用於孩童情感支持 Hybrid Interactive Reinforcement Learning based Assistive Robot Action-Planner for the Emotional Support of Children", Master Thesis, institute of Electrical Engineering, National Taiwan University, R.O.C., 2017. 徐世曦 "基於圖像嵌入與深度強化學習之無地圖室內視覺導航 Map-less indoor visual navigation based on image embedding and deep reinforcement learning", Master Thesis, institute of Electrical Engineering, National Taiwan University, R.O.C., 2017. 錢曉蓓 "具有多模式介面的輔助行走機器人之共同控制策略 Learning-based Shared Control for A Smart Walker with Multimodal Interface", Master Thesis, institute of Electrical Engineering, National Taiwan University, R.O.C., 2017. 楊時安 "基於全向移動性之社交感知機器人導航系統 Socially-Aware Robot Navigation System based on Omnidirectional Mobility", Master Thesis, institute of Electrical Engineering, National Taiwan University, R.O.C., 2016. 張江元 "具時間延遲補償之視覺伺服於人形移動式機械臂 Visual Servoing with Time-delay Compensation for Humanoid Mobile Manipulator", Master Thesis, institute of Electrical Engineering, National Taiwan University, R.O.C., 2016. 林友騏 "基於搜尋演算法之規劃移動式機器手臂尋找與夾取遮蔽目標物 Search Algorithm based Planning on Finding and Grasping of Occluded Target Object with a Mobile Robot Manipulator," Master Thesis, institute of Electrical Engineering, National Taiwan University, R.O.C., 2014. 吳佩文 "利用彩色深度相機建立移動型機械手臂於動態環境中抓取物體系統 Manipulator Grasping on a Mobile Platform with Help from RGB-D Cameras in Dynamic Environments ," Master Thesis, Institute of Electrical Engineering, National Taiwan University, R.O.C., 2013. 張明芳 "應用於辦公室機器人服務之基於異質特徵的語意地圖建置Building Semantic Map in Office Environment using Heterogeneous Feature-based Registration for Robotic Service ," Master Thesis, Institute of Electrical Engineering, National Taiwan University, R.O.C., 2012. 王祈翔 "應用多感測器之融合於人機互動之人員偵測與追蹤系統 Sensor Fusion Based Human Detection and Tracking System for Human-Robot Interaction ," Master Thesis, Institute of Electrical Engineering, National Taiwan University, R.O.C., 2012. 李俊毅 "於多人環境中基於情境感知的智慧型機器人導航 Context-Aware Navigation of Intelligent Mobile Robot in Multi-human Environment," Master Thesis, Institude of Electrical Engineering, National Taiwan University, R.O.C., 2011. 周楨惇 "應用雷射測距儀於多機器人合作之人員追蹤系統 Multi-robot Cooperation Based Human Tracking System Using Laser Scanner," Master Thesis, Institude of Electrical Engineering, National Taiwan University, R.O.C., 2010. 余嘉淵 "具有彈性的特徵點選擇策略應用於強化機器人之同時定位與建立地圖系統 A Flexible Feature Selection Strategy for Improving Bearing-only SLAM," Master Thesis, Institude of Electrical Engineering, National Taiwan University, R.O.C., 2010. 李貫豪"運用bSLAM修正輪型機器人室內導航之不確定性誤差bSLAM Navigation of a Wheeled Mobile Robot in Presence of Uncertainty in Indoor Environment," Master Thesis, Institude of Electrical Engineering, National Taiwan University, R.O.C., 2009. 彭禹安,"大環境之機器人視覺特徵擷取環境定位 Vision-based Global Localization of Large-Scale Indoor Environments with Hierarchical Map”," Master Thesis, Institude of Electrical Engineering, National Taiwan University, R.O.C., 2009. 吳俊逸, " 利用整合式單眼視覺之機器人同步自我定位及建立地圖系統實現大範圍之室內環境探索 An Integrated Robotic vSLAM System to Realize Exploration in Large Indoor Environment," Master Thesis, Institude of Electrical Engineering, National Taiwan University, R.O.C., 2007. 陳任志, "Ellipsoid aMAPRM中間軸偵測與Voronoi邊界取樣之機器人路徑規劃應用 PATH PLANNING: Hybrid Ellipsoid aMAPRM Using Adaptive Voronoi-cuts," Master Thesis, Institude of Electrical Engineering, National Taiwan University, R.O.C., 2006. 游名沂 "Bandwidth Control Based on Wireless LAN for Applications in Multi-robot Cooperative Systems," Master Thesis, Institude of Electrical Engineering, National Taiwan University, R.O.C., 2005. 許銘全," 八邊形模組式機器人之設計、控制及重組規劃 Design, Control,and Reconfiguration Planning for Octagonal Modular Robot," Dissertation, Institute of Electrical Engineering, National Taiwan University, R.O.C., 2010.